I am sure Malaysians are all familiar with Mr. DIY (Do It Yourself), the convenience store that is available all over Malaysia. I love Mr DIY! Not everything sold there is high in quality but some things are a steal! That’s what I found a couple of months ago; a steal!!! I have yet to use it, BUT, I took it out today to share on FiercePaint. 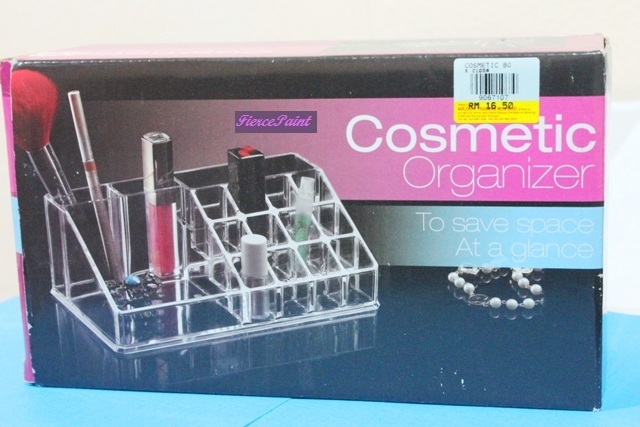 What I found was a makeup organizer. 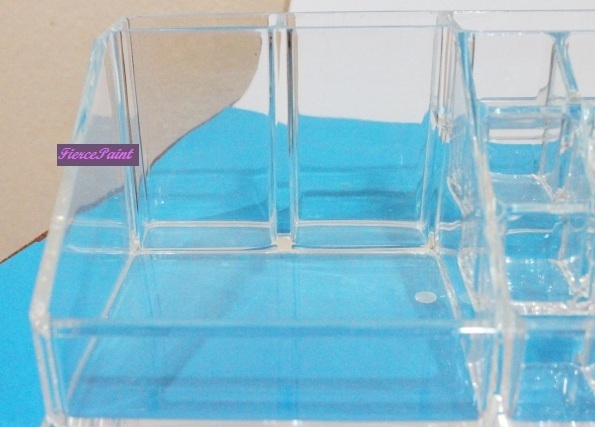 Looking for prices to compare online, I found out that similar looking acrylic makeup organizers cost a bomb! I don’t know if the one I got is acrylic but it sure is gorgeous! Side view. 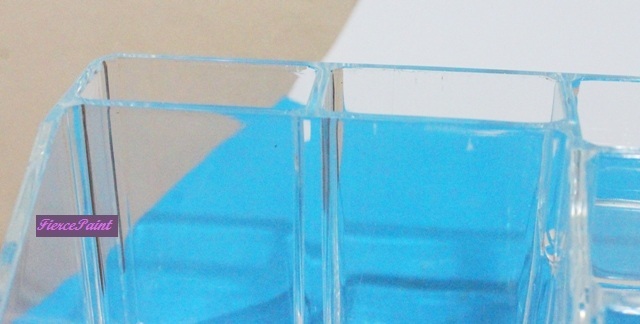 By the way, there are no descriptions anywhere on the box or in it or a pamphlet of any kind and so there’s no telling if the material is indeed acrylic. 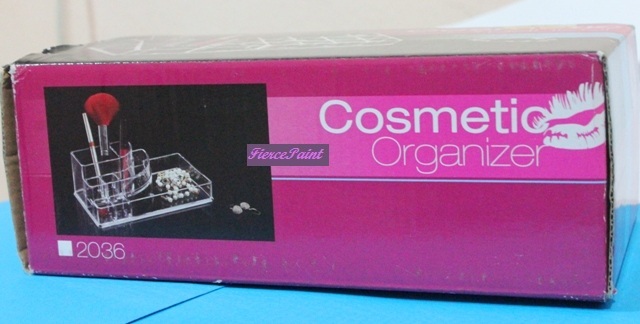 It is wrapped in plastic inside the box. TADA!!!!!!!!!!!!!!!!!! It is 22cm in length, 12.5cm in width, 8cm in height on the taller end and 3cm in height on the shorter side (all values are approximations). I have taken up close pictures of each compartment and I’ll describe them. 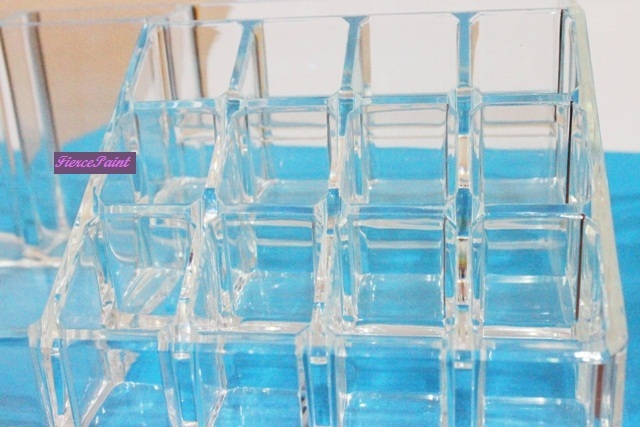 There are 12 lipstick compartments. 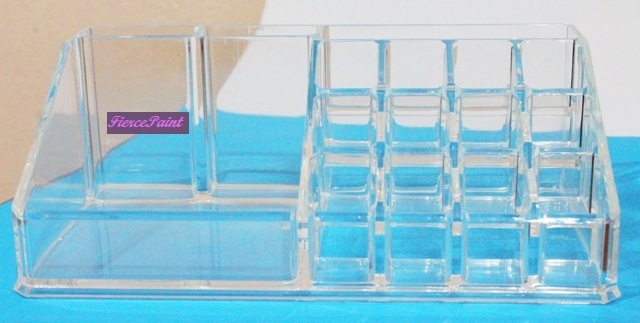 There is an additional space on the top end of the lipstick compartments. 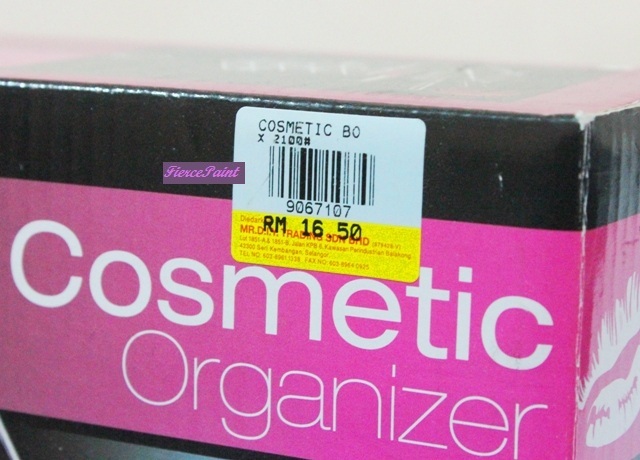 There is a wide space on the left side of the organizer that is equally the same size as the lipstick compartments. 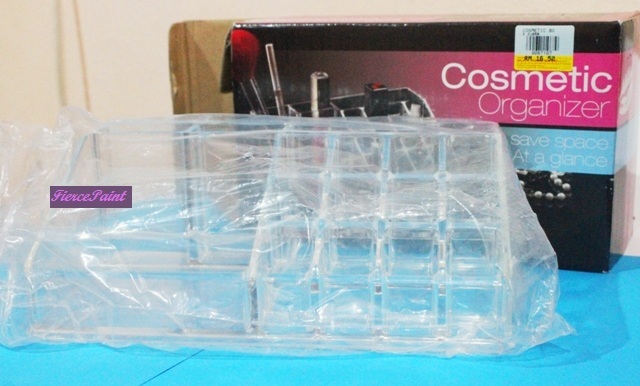 And there is a similar additional space at the top part but unlike the one above the lipstick compartments (on the right), this space is divided into two equal compartments. I also took a picture with the organizer filled with as much makeup it could hold (or enough that I could figure out placements for). Tada!!!! 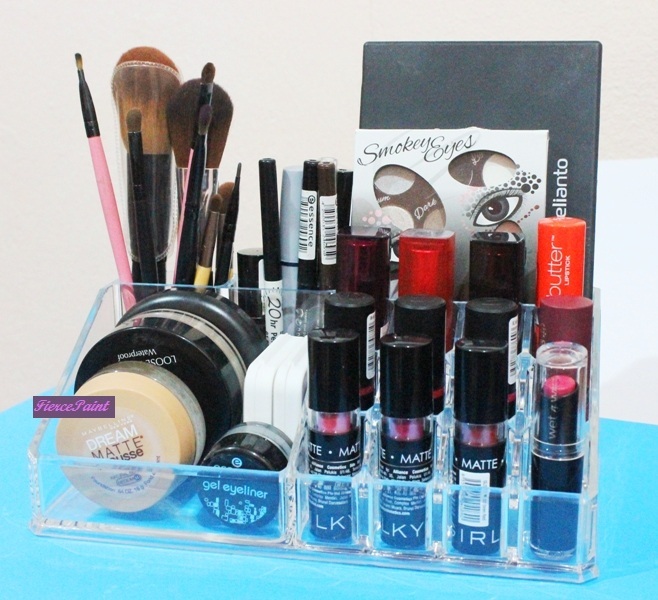 It would fit everyday essentials makeup products and tools and it would look gorgeous on one’s vanity!!! And best of all, if you did not notice in the first picture, I got one close up shot of the price tag. So go check out your nearest Mr. DIY!!! Who knows you might find another treasure like I did! It isn’t available at all Mr. DIY stores; I just happened to chance upon it. If you already knew about this and own one, good for you!!! Do let me know if it is any good in the long run.